The Emperor Penguin is the heaviest and tallest living penguin species in the world, and is only found in Antarctica. It was first described scientifically by the English Zoologist, George Robert Gray, in 1844. In terms of location, the Emperor Penguin is distributed between 66° and 77° south latitudes. When it does breed, it will breed on a stable pack ice which is close to the coast of Antarctica – approximately 18 km offshore in all. Breeding colonies will be established in ice cliffs and icebergs as this will shelter the penguins from the harsh wind. It is estimated there are up to 450,000 individuals which are spread across 40 independent colonies. 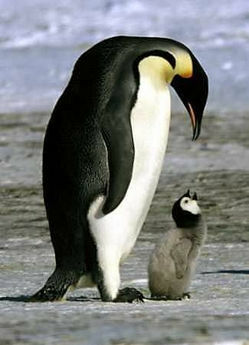 It is known that there are about 80,000 pairs breeding in the Ross Sea area. Other than this, the other major breeding colonies include Coulman Island, Halley Bay, Cape Washington, Atka Bay, an Coats Land. There are also colonies at Dion Island and a headland at Taylor Glacier. 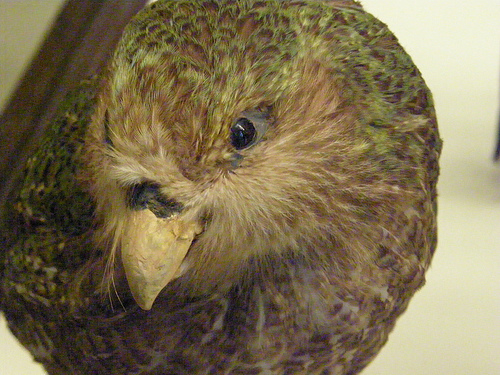 Male and females have similar sizes and plumage. They will reach to about 122 cm tall and weigh between 22 – 45 kg. They are flightless and have a streamlined body. Their wins are stiff and flat and are like flippers which are suitable for these birds since their habitat is primarily marine. They have a distinguishable look with a black head and dorsal side, bright yellow ear patches, a pale yellow breast, and a white belly. 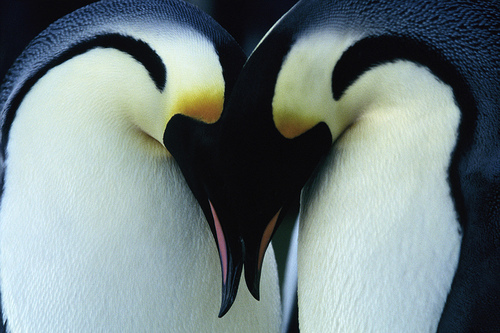 Emperor Penguins normally eat fish, krill, and squid. When they hunt, they can dive up to 535 metres (1,755 feet) deep, and can remain underwater for up to 18 minutes. In order to be able to stay underwater for so long, their bodies have adapted by having an unusual haemoglobin which allows the animal to function at lower oxygen levels, solid bones, the ability to shut down any non-essential organ functions, as well as the ability to decrease its metabolism rate. In popular culture, it has been featured in many documentaries and animated movies. These movies include the March of the Penguins, Life in the Freezer, Planet Earth, Happy Feet, and Surf’s Up. A Canadian band called The Tragically Hip included a song on their album, Phantom Power, called the ‘Emperor Penguin’. In addition, over 30 countries have had this bird on their postage stamps, including France, Chile, Great Britain, and Australia. Those who are unable to have a holiday to Antarctica can see them at SeaWorld San Diego. In fact, more than 20 individual Emperor Penguin have been hatched there since 1980. I love Emporer penquins!!!!! They are super cool, in my opinon.